Homemade Window Cleaner ~ a non-food post today! Ok, so this would be my first non-food post on this blog, but I got so busy cleaning today I didn’t take time to cook anything! We had leftovers for lunch and breakfast and I took Charles out to dinner so I didn’t have to do anymore cleaning. In any case I’ve found it’s impossible to find a good window cleaner; it seems like the fancier they get the more streaks I get. I know using things like newspapers and coffee filters work, but oddly those are things I don’t readily keep around. Newspapers will be used this winter to fire up the wood stove and Charles uses a Keurig brewer with a filter basket. I however have a big old bag of shop towels that are great for cleaning; virtually lint free and reusable! Anyway on to my recipe. Most use more water than vinegar but I like a higher vinegar ratio for getting rid of heavy residue. I don’t wash windows often so between the dust from this dry summer, my pets, rain spots and any other contaminates I have pretty dirty windows. 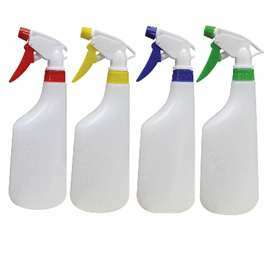 Combine in sprayer bottle shaking well before use. I find this works really well; I like to spray it on fairly heavily using one cloth to wash then after dry spray lightly one more time and wipe off using a clean towel. It will leave a vinegar smell around but vinegar is great for eliminating odors so after a few hours you will be left with only clean windows! This entry was posted in Cleaning supplies and tagged dish soap, recipe, vinegar, water, window cleaner, window wash. Bookmark the permalink.